You have better things to do than maintain your lawn. Let our professionals handle the dirty work for you. Absolute Cleaning Operations Inc offers high-quality lawn services at the most competitive rates. We also offer pressure wash cleaning services for hard-to-reach places. Our locally owned and operated business caters to the cleaning requests of homeowners and businesses in the state of Alabama. You deserve a well-kept lawn! Let us provide the lawn care you need as you spend your precious time on more important matters. Trust our experts to remove the mold and grime in your home or business. With our state-of-the-art equipment, we can certainly make every corner of your place look spick and span. 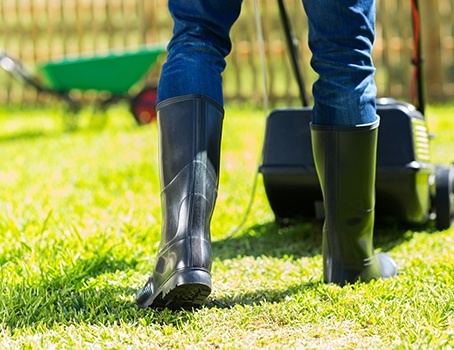 For high-quality lawn services, head to Absolute Cleaning Operations Inc. Contact our professionals via phone or email. Better yet, visit us to speak directly with one of our experts. Let’s get started on cleaning your home or business today. We look forward to working closely with you.